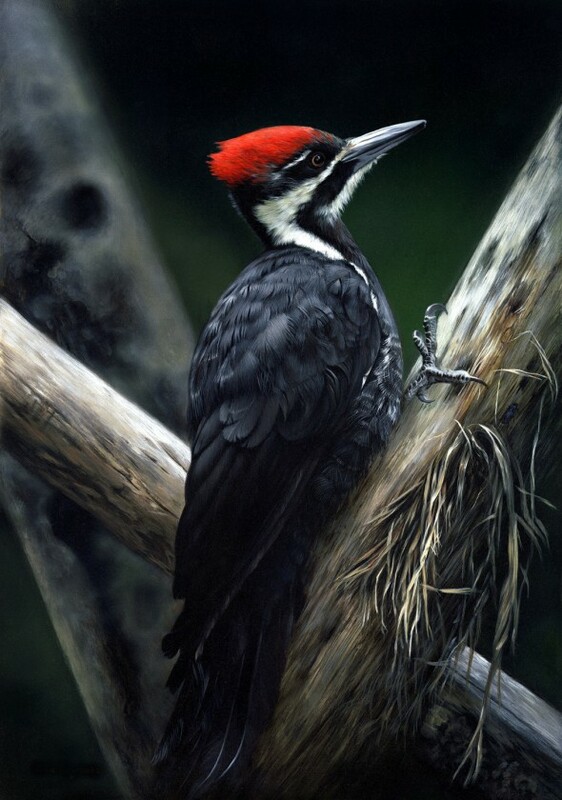 This female woodpecker is more subtle than the male of the species. She has the red patch on her head where the male has a red eye stripe too. I like the way the red stands out from the greenish background, red being the complimentary colour of green. 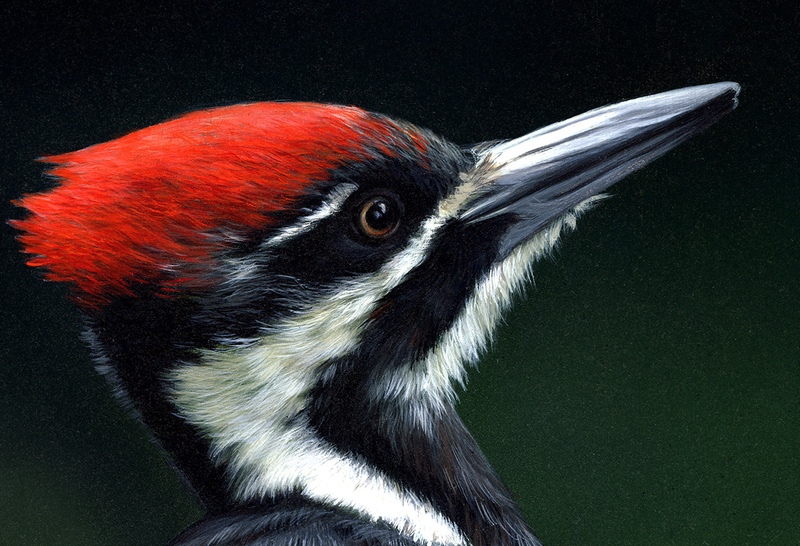 I also wanted the dark background to that the viewer has to really look to see the details of the bird’s feathers. This painting is a favourite of mine and my first painting to be exhibited, along with 100 of the top bird artists from around the world, in the Leigh Yawkey Woodson Birds in Art exhibition. It was also chosen for the Artists for Conservation virtual exhibition 2010.